Music might be playing, a Frisbee may be tossed nearby, but this space will be left alone on the Quiet Green. Like the institution of slavery in New England, the metal ball and chain are deeply embedded in the soil of this University. The sculpture invites contemplation, reflection, and exploration of the forced labor that occurred where you are standing. Take a moment to really pause here. Confront the discomfort that may come. If you lived in 1771, who would you identify more with? Henry Paget Esquire, Pero, or someone else? Anthony Bogues, Director of the Center for Slavery & Justice, suggests that the Slavery Memorial is about recognizing the role of the philanthropists who endowed Brown in the transatlantic slave trade but importantly that history is built from “sedimented deposit” that continues to structure our present day life. 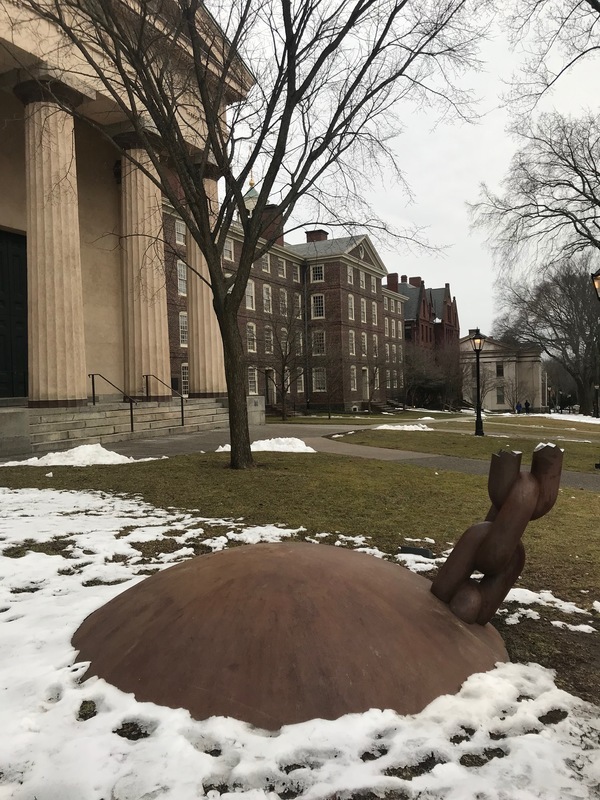 Acclaimed artist Martin Puryear was unanimously chosen to create a memorial that would best acknowledge the university’s complicity and investment in the transatlantic slave trade. 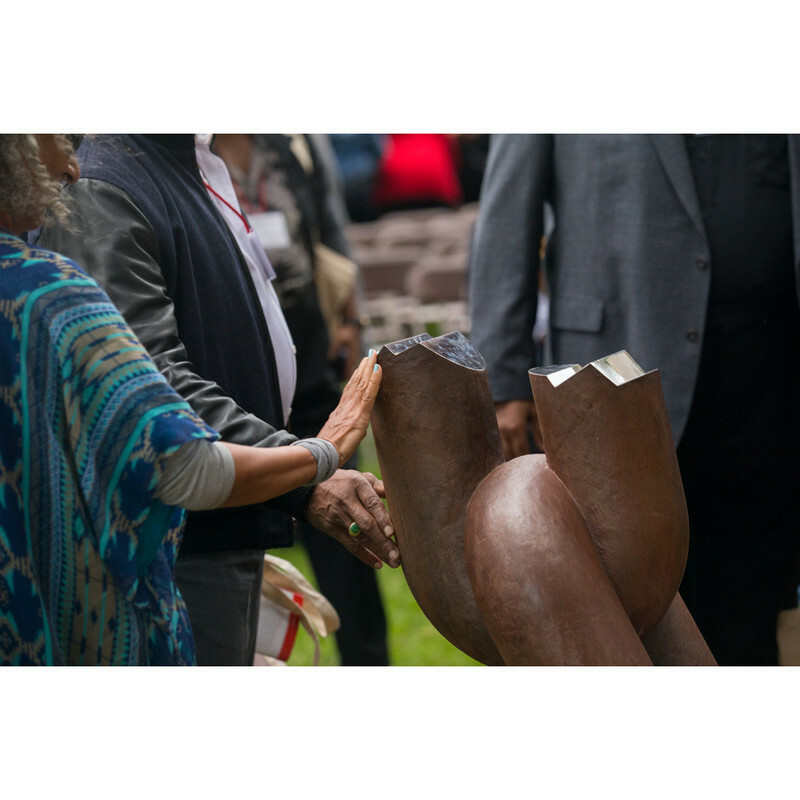 It was commissioned in 2007 as one of the many initiatives recommended after the release of the official report by the Steering Committee for Slavery and Justice created by Ruth J. Simmons, Brown’s then-president. The report concluded that Brown’s early benefactors participated in the slave trade and therefore, that the university has directly benefited from the institution of slavery. Not until 2003 when Simmons, a great-granddaughter of slaves, became president was the topic of Brown’s connections to slavery explicitly addressed. Uncovering these masked portraits of Brown seeks to confront the nearly forgotten history of slavery in New England, and while many centuries delayed, hopes to honor the enslaved individuals who built one of the cornerstones of our campus. 71 Waterman St. Providence, RI 02912 ~ Find the memorial between Hope College and Manning Hall on the Quiet Green. 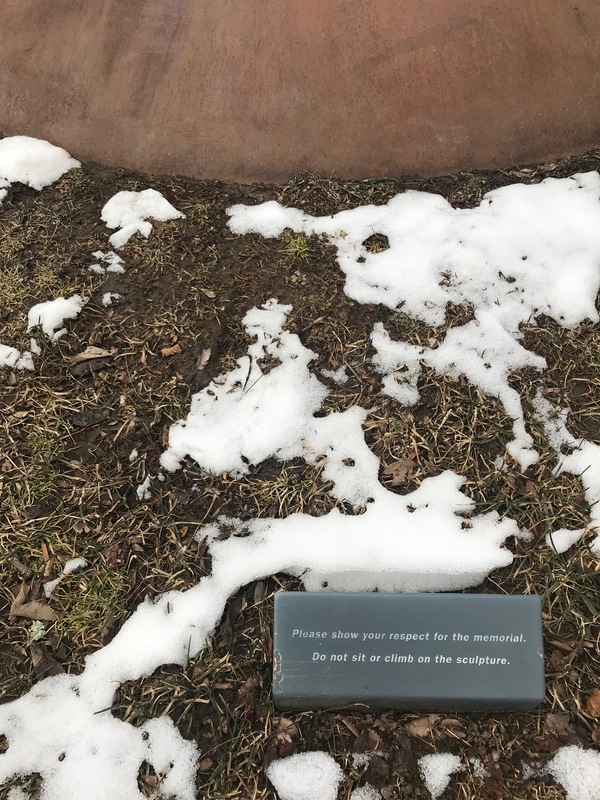 Maya Omori, “Stretching Towards Equality: The Slavery Memorial ,” Rhode Tour, accessed April 23, 2019, http://rhodetour.org/items/show/346. "Brown University Confronts Its Past Ties to Slavery." The Journal of Blacks in Higher Education, no. 53 (2006): 33-34. http://www.jstor.org/stable/25073534. Baum, Deborah. "Martin Puryear to Design Slavery Memorial." Martin Puryear to Design Slavery Memorial | News from Brown. Accessed March 16, 2019. https://news.brown.edu/articles/2012/02/puryear.